Home News DPLE group at "Photonics. World of Lasers and Optics'2014"
DPLE group was represented at the 9th Edition of the International Specialized Exhibition for Laser, Optical and Optoelectronic Technologies — PHOTONICS. 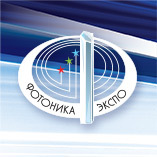 WORLD OF LASERS AND OPTICS'2014 (March 25–27, 2014).